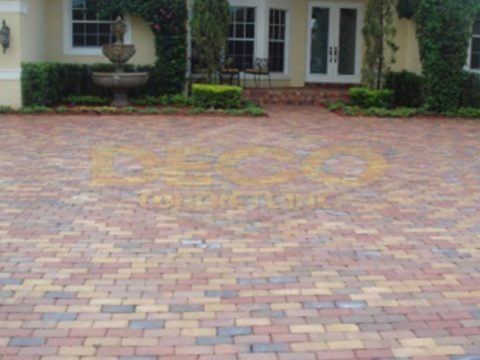 For Brick Pavers, Concrete Pads, Hardscapes, Overlays, Stamped Concrete and More. 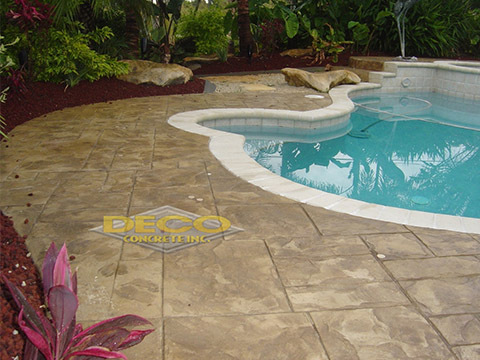 Deco Concrete, Inc: Decorative & Stamped Concrete, Driveway, Patio, & Pool Pavers in Miami-Dade & Broward county! 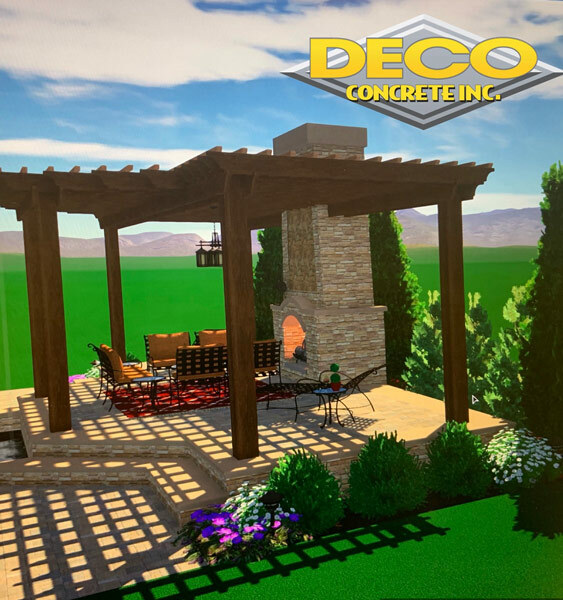 Welcome to the online home of Deco Concrete, Inc. We design and install textural stamped concrete, brick pavers, concrete pads, and concrete overlays in Dade and Broward counties. 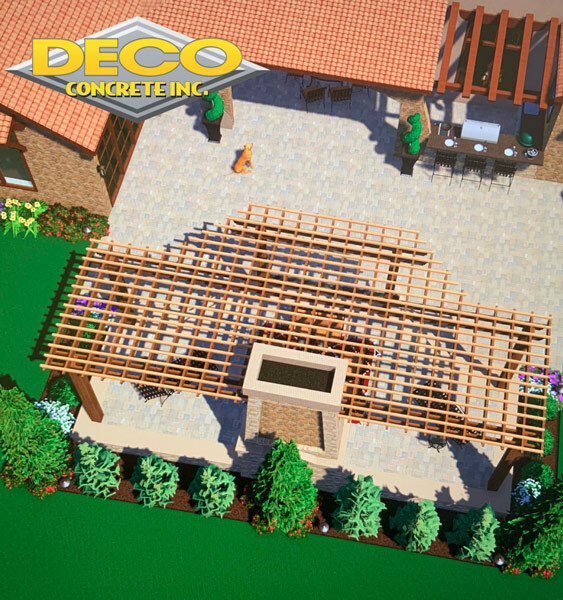 If you want to improve the look and feel of your driveway, walkway, patio, or pool deck, you have found the ideal resource. We have been designing state-of-the-art concrete and stone surfaces in the greater Miami and Broward areas for over 20 years and counting, and we are driven by a passion for perfection. Each property that we work on is different, and our customers have varied tastes. Our designs take these factors into account, and we draw from our experiences to creatively transform southeast Florida properties. 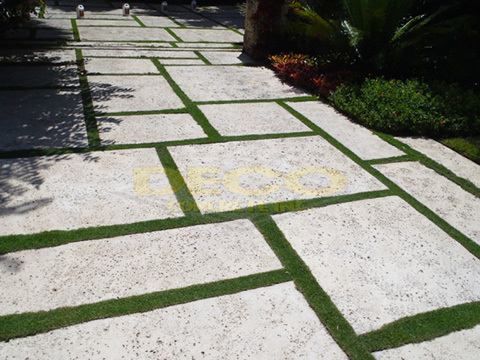 Most people don’t know about the materials that can be used to improve their existing driveways, pool areas, and other outdoor spaces. You have multiple options, and we can explain the possibilities to you in detail. 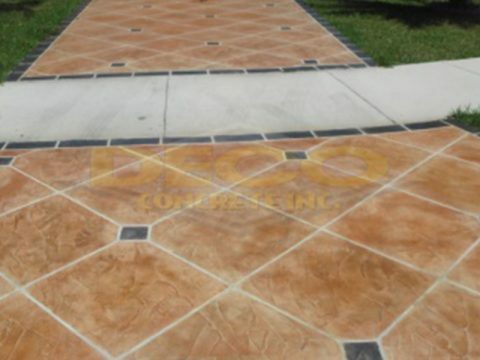 Stamped concrete is a popular choice. It is applied and textured in the design and color of your choice. There are many shades and choices, offering complete versatility. Brick pavers hold a great deal of appeal as well. They are long-lasting, and they tend to retain their natural color over the years. Brick has a distinct, traditional look that many people prefer, and it is a low maintenance material that is all-natural, so it is an eco-friendly choice. Travertine is another material that we work with on a regular basis. This is a beautiful form of natural stone, and decorative travertine pavers can be the ideal choice if you are ready to upgrade your patio, walkway, pool deck, or driveway. We can also provide a solution if you want to make some positive changes without starting over from scratch. If there are some imperfections in your existing concrete, or if you would like to jazz it up a bit, we can recommend a concrete overlay design that will transform your dull, worn concrete surface. Why does Deco Concrete require meeting with both decision makers? Watch the video to learn more. 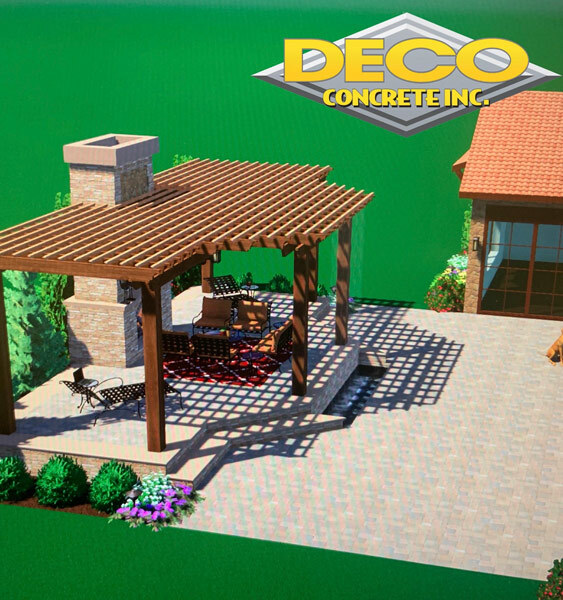 If you have questions about stamped concrete custom designs and patterns, brick pavers, concrete pads, and concrete overlay systems, we can provide you with answers. 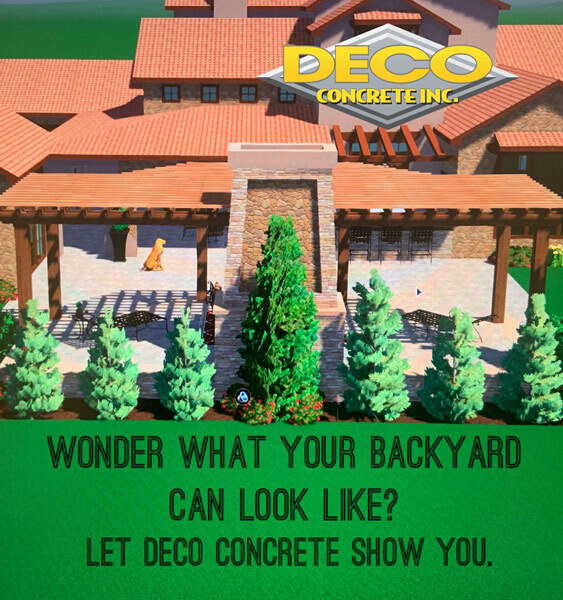 In Broward County, you can call Deco Concrete Inc. at 954-862-8009, and our number in Dade County is 305-828-5158, or, click here to contact us by using the online form.